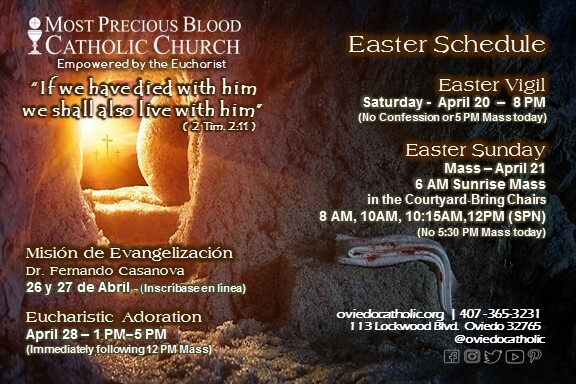 Easter Mass Schedule for April 20th & 21st: Christ is Risen! Alleluia! Alleluia! The primary symbols of Easter are the symbols of baptism. Need help? That’s right, baptism is shown with water, light and the color white. The Easter egg has become a popular sign of Easter. In ancient Egypt and Persia, people were amazed how a live creature came from an egg. Christians adopted this tradition as it represented the tomb from which Jesus came forth to new life. Easter bunnies are also pre-Christian fertility symbolism because of rabbits’ reputation to reproduce rapidly. Somewhere in Germany several hundred years ago grew the custom of eggs and candy bunnies. The Easter Bunny has never had a religious meaning. Each Mass during the Easter season ends with a special dismissal. The presider sings, “Go in the peace of Christ, alleluia, alleluia,” to which everybody sings back, “Thanks be to God, alleluia, alleluia.”Ever wonder what you are saying when you sing, “Alleluia”? It comes from the Hebrew meaning “Praise the Lord!” The “ya” at the end of “alleluia” is short for Yahweh, which means “Lord”. As for the rest, you’ll have to take our word for it. The famous “double Alleluia” highlights the festive nature of Easter. After the long forty days of Lent without singing Alleluia, it comes back with a vengeance. If singing Alleluia once is good, twice must be better. Praise the Lord! The Easter candle is lighted for every Mass during the Easter season. First lit from the fire to begin the Easter Vigil, the Easter candle reminds us that Christ our light is risen. Candles given to the newly baptized are lighted from the Easter candle. “Receive the light of Christ,” the baptizer says. “This child has been enlightened by Christ and is to walk always as a child of the light. When the Lord comes, may he go out to meet Him with all the saints in the heavenly kingdom.” The sprinkling rite at the beginning of Mass, together with the profession of faith, renews the grace of our own baptism. “Do you reject sin, so as to live in the freedom of God’s children?” the presider asks, and we answer, “I do.” At the Easter Vigil, men and women were baptized into Christ. They put on white garments, the color of baptism. No wonder the color of Easter is white. White means baptism. Easter is the great season of baptism. 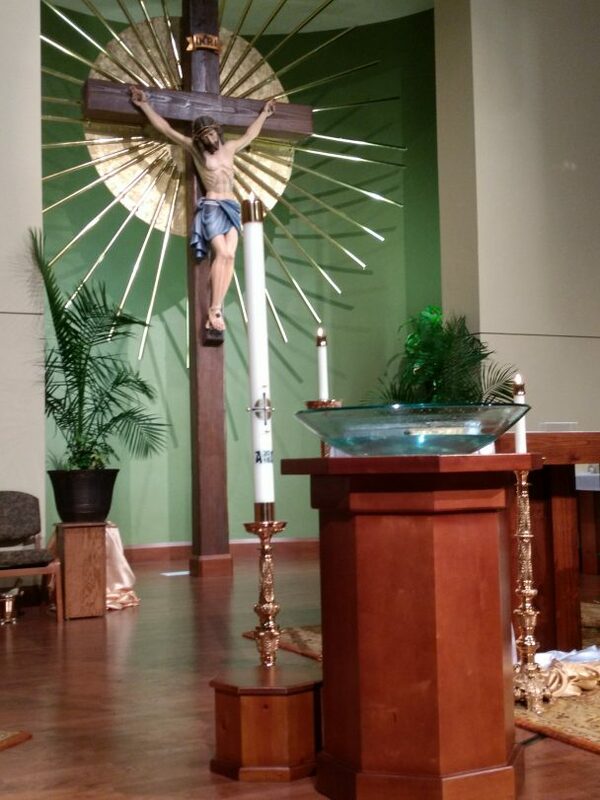 After the long Lent without baptisms, it is about time! The Easter Vigil is the “Mother of All Vigils.”Easter Sunday, then, is the greatest of all Sundays, and Easter Time is the most important of all liturgical times.Easter is the celebration of the Lord’s resurrection from the dead, culminating in his Ascension to the Father and sending of the Holy Spirit upon the Church. 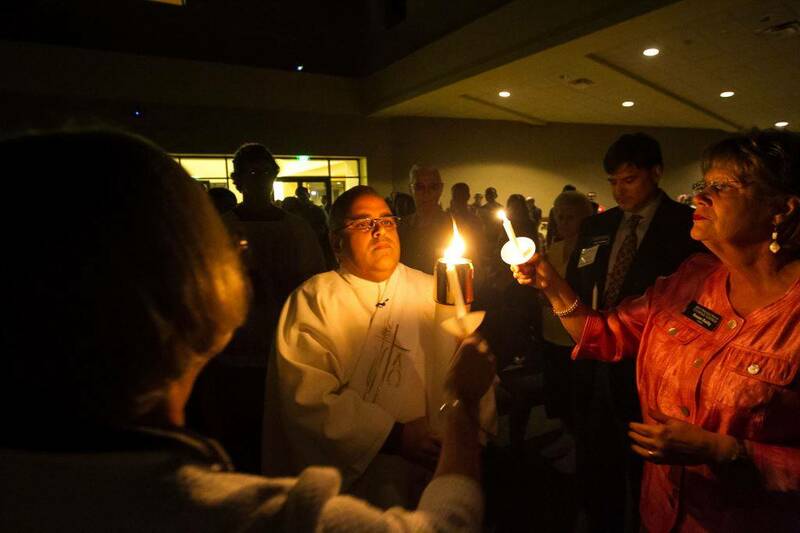 Each year during the Easter Vigil, thousands are baptized into the Catholic Church in the United States. Parishes welcome these new Catholics through the Rite of Christian Initiation of Adults (RCIA).